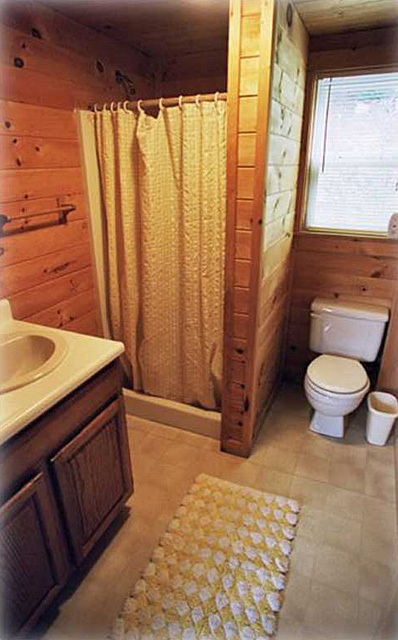 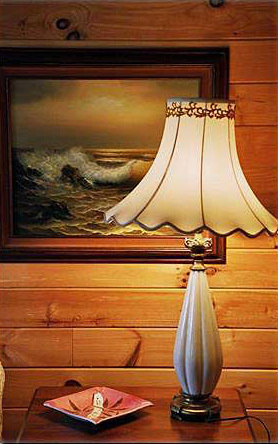 Built with tongue and grove paneling and clapboards in 1992, this is one of our most popular cabins. 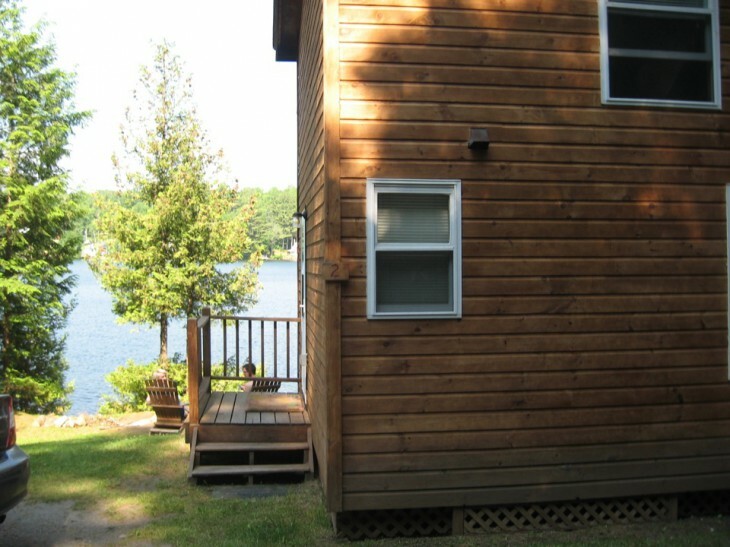 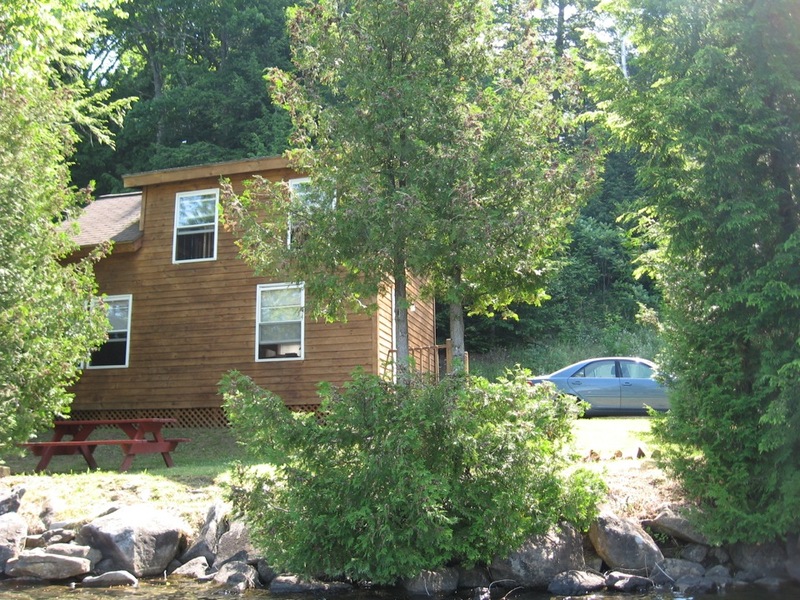 Just 20 feet from the water’s edge, this delightful two-story cabin has a spiral staircase leading up to a loft bedroom with a queen size bed. 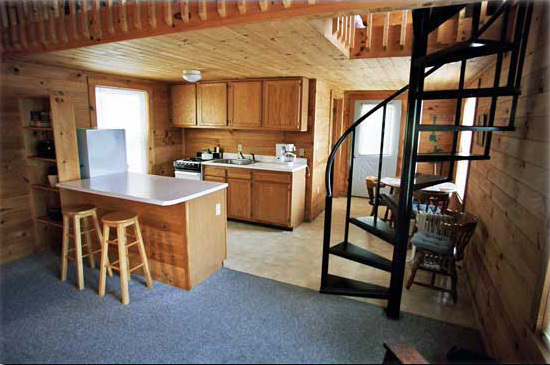 There is a convertible couch in the living room, a bathroom with shower, and a full kitchen.